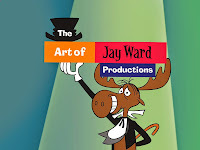 Bullwinkle and all the rest of Jay Ward's series. For the next few weeks, my Jay Ward blog takes you behind the scenes at the Mexican studio, Gamma Productions, that actually produced those series. 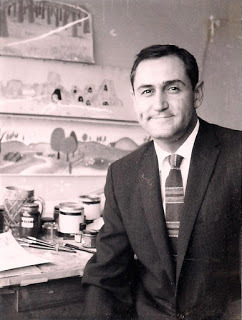 This week, meet the ex-pat American head of the background department, Frank Hursh, and in the ensuing posts see some more rare photos and art from that era. Take a gander here. And if you need a guidebook for your tour, get one here. I have to assume this blog has been abandoned. Too bad. FWIW, it looks like this will be another year (2018) without Magoo's Christmas Carol being shown on TV. Mostly true because there isn't anything new to post. After the 50th anniversary debacle on NBC, I think we're all better off that it's not run on any of the major outlets. The Blu-ray is the best option.